“Who Owns Baseball?” An explanation for a subjective title. 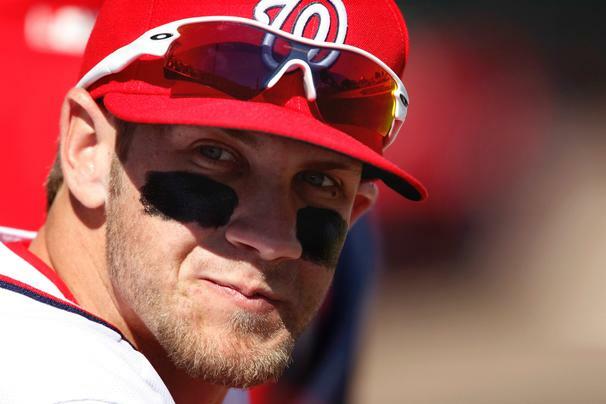 Just how far can Bryce Harper improve during his 2nd season? If he can improve by about 15 % might we see a 30 HR/ 30 SB, year with around 120 Runs Scored and 80 Extra Base Hits? This would vault the 20 Year Old LF into MVP consideration. He hit 2 HRs on Opening Day – and is crushing regular hits as well. Harper is 6 – 12 with 2 HRs and 3 RBI through 3 games. The Nats swept the Marlins in 3 straight. On my podcast, The Sully Baseball Daily Podcast (available on iTunes), I have been keeping track of a title of my creation. It is the title of “Who Owns Baseball?” for a given day. Kershaw was virtually unhittable in the 1st game of the year, allowing 4 hits, 0 Walks and Striking out 7 in his Complete Game Shutout. He faced just 30 Batters in his start. 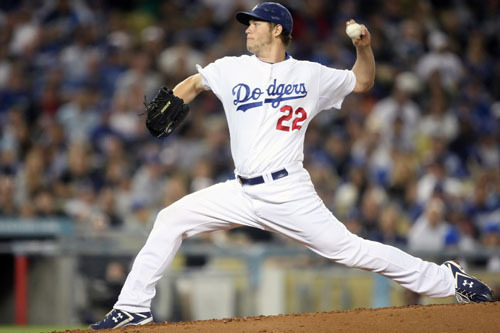 Kershaw became the 1st pitcher since Bob Lemon to throw a Shutout and hit a HR as a Starting Pitcher on Opening Day. Sure, I could just say “The Player and Pitcher of the Day”. But I enjoy the lofty title. It reminded me of Keith Olbermann’s “Worst Person in the World” moniker. What are the criteria for the title? Anyone expecting an advanced mathematic formula will be disappointed. Anyone who thinks it simply rewards the most dramatic moments will be let down as well. The season’s lone walk off home run, a blast by Tampa Bay’s Matt Joyce, did not earn the title. Instead it is a combination of numbers and drama. It is a meeting point of hard stats and emotions. And in the end, it is my call. The April 3rd marathon between the St. Louis Cardinals and the Arizona Diamondbacks that last 16 innings had a seemingly obvious emotional recipient. Cliff Pennington‘s third hit of the day was a walk off RBI single. 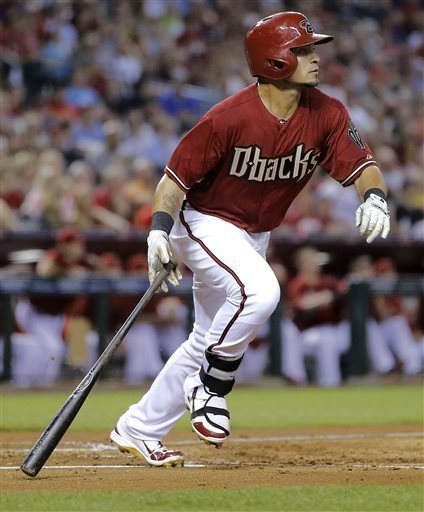 But Gerardo Parra came within a double of the cycle. And when he came to bat in the 12th inning, a double would have given him the cycle and the game ending hit. Instead he was called to bunt and did so perfectly. But at the end of the season, it will be interesting to see if the eventual MVP and Cy Young winner would have been the one who owned the most days. Parra has pasted 5 Extra Bases in the 1st 3 game series of the Dbacks and Cardinals – including 3 Doubles, 1 Triple and 1 Home Run. Listed as the #4 Outfielder to start the year, he has enjoyed the playing time while Adam Eaton and Cody Ross have been injured. 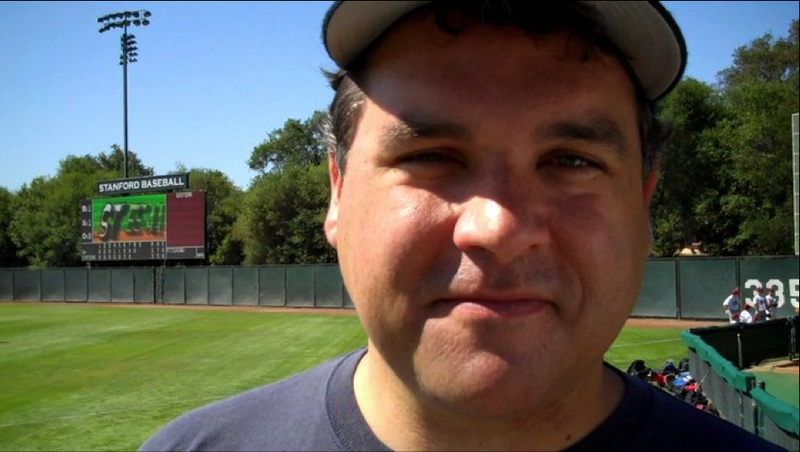 A big thank-you goes out to our Lead Baseball Writer Paul Sullivan. ‘Sully’ has appeared in the HBO Sports documentaries “Curse of the Bambino” and “Reverse the Curse of the Bambino” as well as on ESPN2’s Cold Pizza and NESN’s “Spaceman: A Baseball Odyssey.” He has performed stand up comedy all across the United States and appeared on the TV show “Monk.” He is currently a producer for Wild Eyes Productions in Los Angeles. Posted on April 4, 2013, in The Rest: Everything Baseball and tagged bryce harper, clayton kershaw, gerardo parra, jed lowrie, Paul Francis Sullivan, Sully Baseball, washington nationals, Who owns baseball?. Bookmark the permalink. 160 Comments.